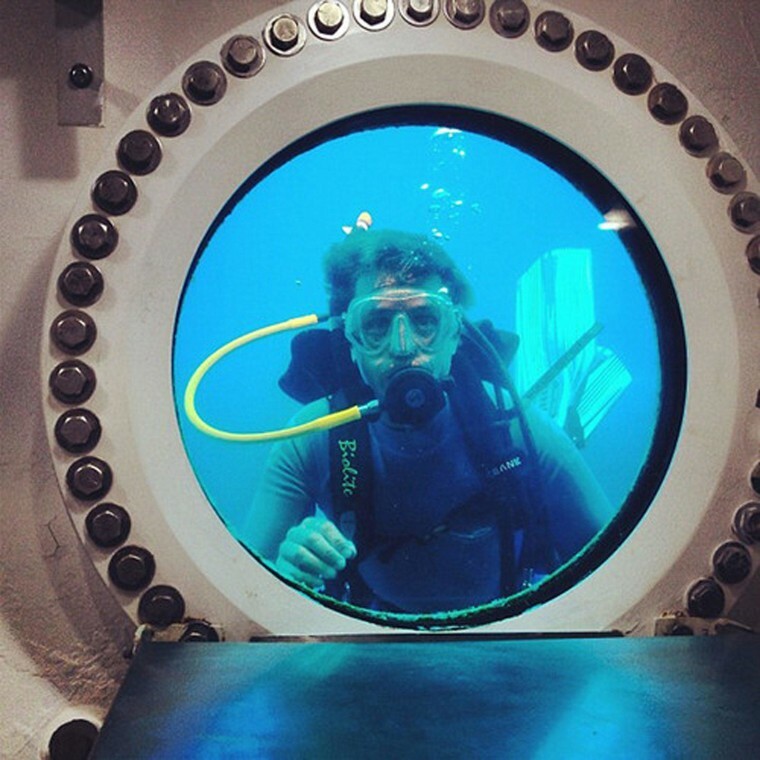 MIAMI — The grandson of famed oceanographer Jacques-Yves Cousteau will embark on a month-long stay inside an undersea laboratory off the Florida Keys in an attempt to break a half-century-old record set by his late grandfather. After years of planning and delays, Fabien Cousteau will make a 60-foot dive on Sunday in an attempt to spend 31 days in a laboratory known as Aquarius, observing fish behavior, studying the impact of ocean pollution and warming seas on coral reefs, and measuring the effect of lengthy underwater stays on the human body. “There are a lot of challenges physically and psychologically,” said Cousteau, 46, who was born in Paris and grew up on his grandfather’s ships, Calypso and Alcyone. Cousteau will be living and working underwater with a team of researchers and documentary filmmakers. If he succeeds in spending the entire time submerged, Cousteau will beat the 30-day underwater record set 50 years ago in the Red Sea by his grandfather. The cylindrical 43-foot Aquarius is the last undersea laboratory still operating. It sits on a patch of sand near deep coral reefs about 9 miles south of Key Largo, Florida. It is “the best-kept secret in the oceans,” Cousteau told Reuters in 2013. Dozens of other undersea labs around the world have been mothballed due to high costs. In 1963, Jacques-Yves Cousteau along with a half-dozen divers he dubbed oceanauts spent 30 days inside an undersea lab called Conshelf II near the Port of Sudan. Aquarius is air conditioned with wireless Internet access, a shower, a bathroom, six bunks and portholes that give the occupants a 24-hour view of the surrounding marine life.